Electric cars are better for the environment than traditional gasoline models, and that benefit will grow as power generators shift away from coal. The report adds clarity to the debate about the lifetime emissions of electric vehicles, which while they don’t pollute on the road do consume electricity that is often generated using fossil fuels. BNEF’s research assumes that electric cars will become cleaner in the coming years as utilities close coal plants and draw more energy from wind and solar farms, a process well underway almost everywhere except Southeast Asia. 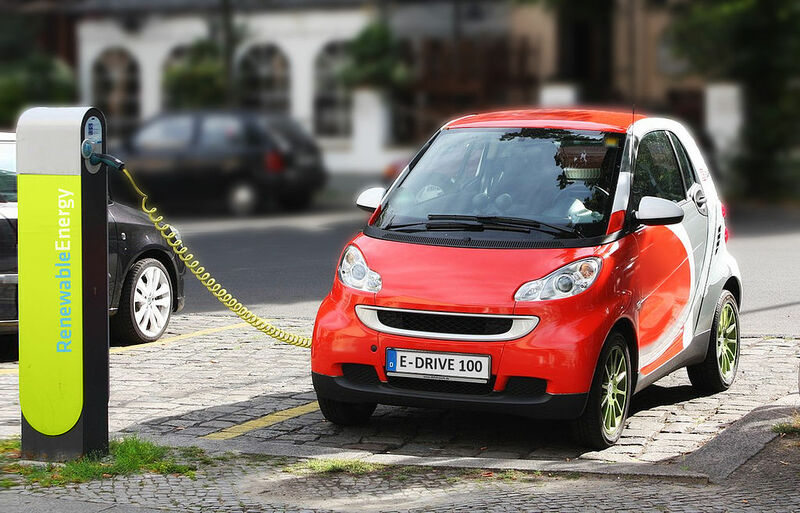 “When an internal combustion vehicle rolls off the line its emissions per km are set, but for an EV they keep falling every year as the grid gets cleaner,” Colin McKerracher, a transport analyst at BNEF said. The chart above shows BNEF’s forecasts for how much the gap will grow, with China expected to make rapid progress as its renewables industry takes a bigger share of the power generation market in the coming years. The widespread adoption of renewables will decrease average emissions by as much as 90 percent in the U.K. and over a third in Japan out to 2040, according to BNEF. The global share of zero-carbon electricity generation is set to increase from 38 percent last year to 63 percent by 2040, according to projections from BNEF. While technological improvements will see related emissions from combustion engines falling by about 1.9 percent a year through to 2040, pollution from electric vehicles will fall anywhere from 3 percent and 10 percent annually. 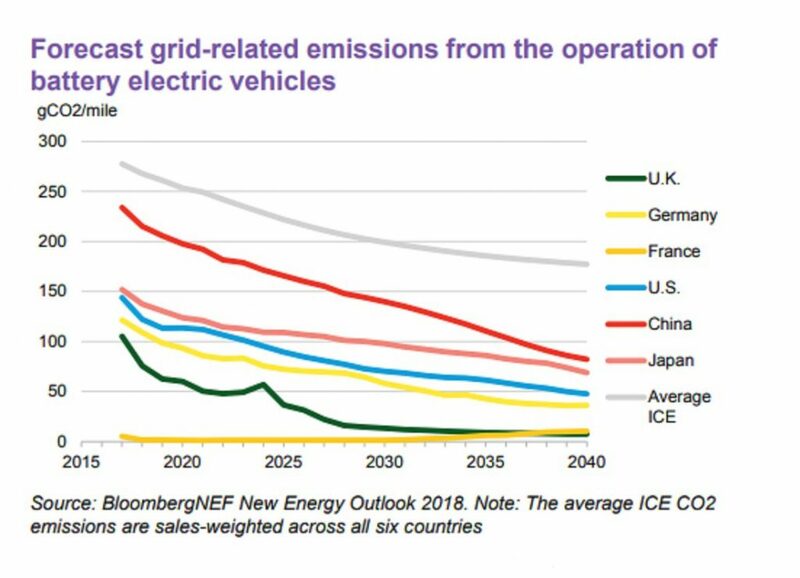 That’s largely because of grid decarbonization but also reduced electricity consumption, BNEF says.